Never ask when you're going to die. 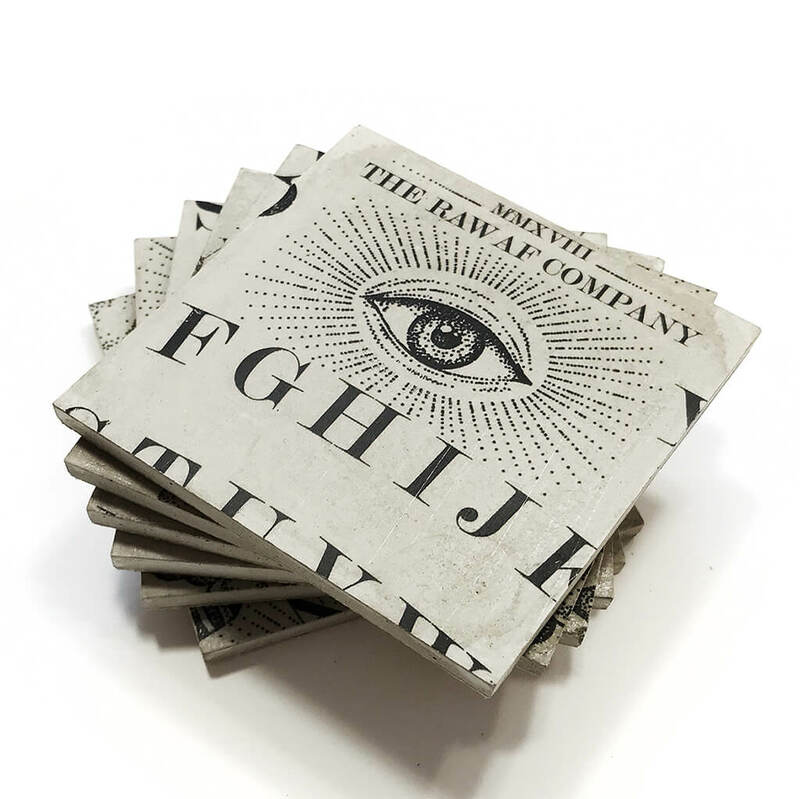 The world's first real and authentic 'Ouija' inspired coasters set. × Special concrete mixture with fibers to make these coasters more resistant than normal concrete coasters. × We used a thin layer of cork on the bottom of each coaster to protect your table top from scratches. × You can use these coasters for anything: cold and hot drinks, small and large glasses, wine, lemonade - and the best: beer. × You can use the wooden frame to store these coasters on your table, just like a standing photo frame. 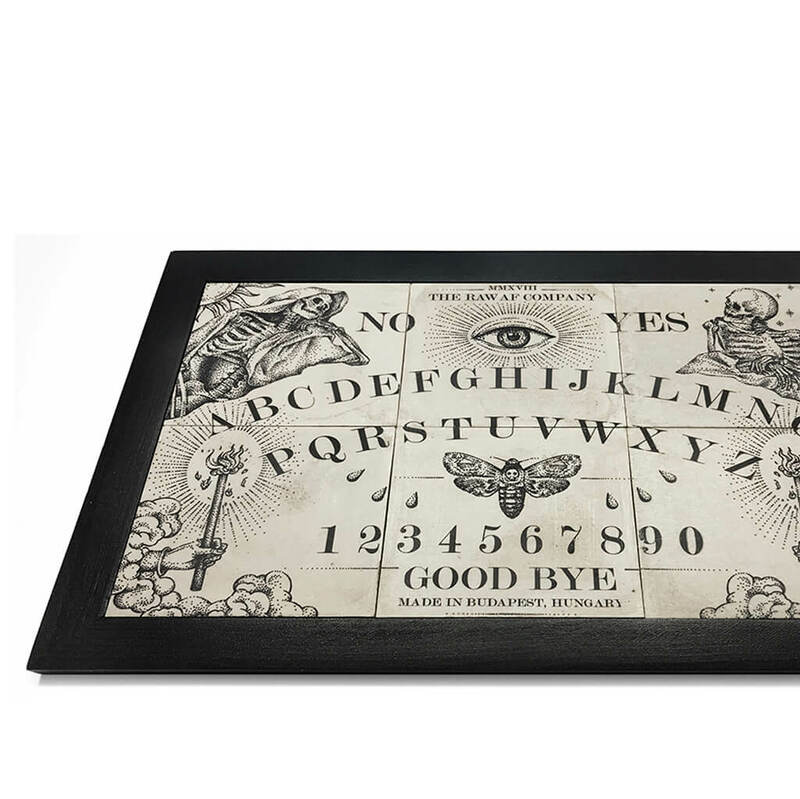 × Inspired by the (in)famous Ouija Board invented in the early 1900s, this board looks absolutely authentic. × We give you everything: the coasters with a wooden frame and a planchette to communicate. You only need to find some company. × It's a small sized talking board with a small planchette perfect for 2-4 persons. Do not use it alone. × This thing is serious. No matter if you're a believer or not, just please follow the rules. One never knows. Process time: 2 days, international shipping: 5-10 days. 100% hand-made, signed and dated on backside. 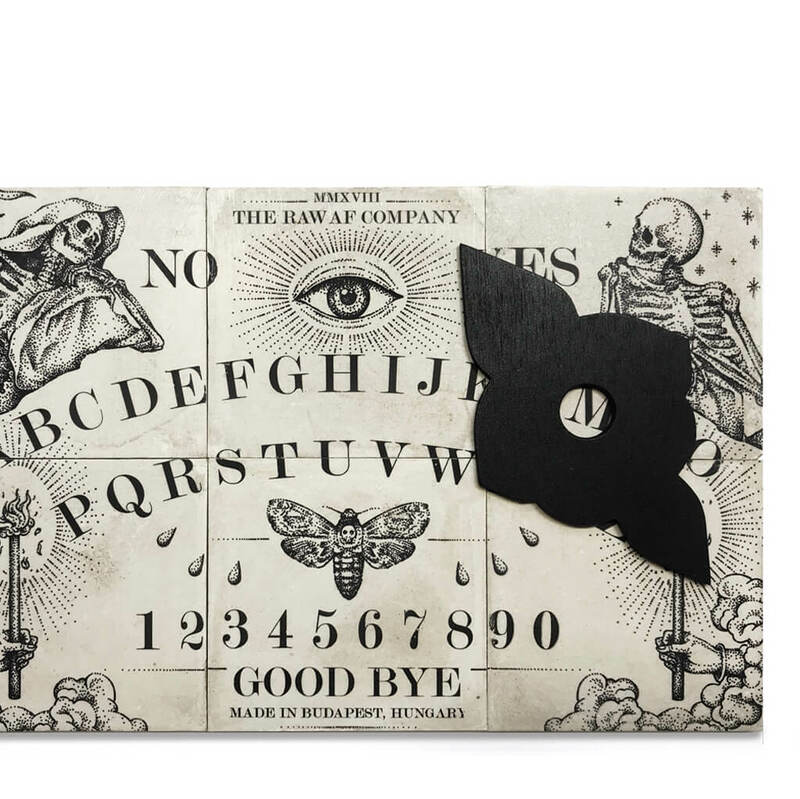 Contents In the box you will find 1 black coated wooden frame, 1 black coated wooden planchette, 6 concrete coasters and 1 sheet with the basic rules and instructions. Dimensions Wooden frame width: 275 mm, length: 195 mm, height: 10 mm. Coaster width: 79 mm, length: 79 mm, height: 7 mm (5 mm concrete, 2 mm cork). Planchette width: 55 mm, length: 95 mm, height: 3 mm. Materials Frame and planchette: wood with black acrylic finish. Coasters: concrete composite with mono-filament polypropylene fibers, cork bottom, matte polyurethane finish. Cleaning You can clean the coasters with a soft wipe or sponge and warm (not hot) water. To protect the print and the cork, we recommend to use water only, do not use chemicals.